With this major hurdle out of the way, this weekend should be smooth sailing. Well, smooth-ish. At this point, we're not taking anything for granted. The to-do now quite small, but we don't want to get overconfident. Another full weekend of working is ahead for us! Check out these new screens form the Dev server showcasing the new character customizer with the new Bounty Hunter styles in-game! We're still working on color separations, so look for more previews on our Twitter feeds as the weekend rolls on! 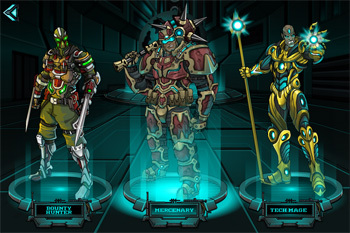 Hopefully you'll enjoy these new armors as much as I enjoyed making them. 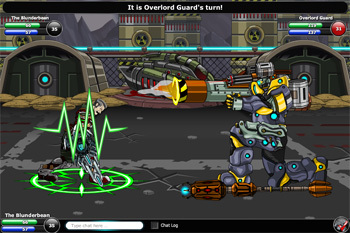 EpicDuel has come a long way since it's creation and we are confident Omega will be the best phase yet! Keep following our Twitters and DN posts for further updates! Here's hoping we'll be completely feature-locked by Sunday! 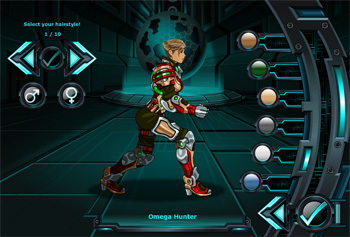 Hey there, EpicDuelists, we're having another late night at the lab and I though I'd take a breather to share the progress of the character creator and new base class armors. I could drone on and on about the process, but I'll let the work speak for itself. To answer a question about the new base armor designs -- these new designs will work like the current default armors in that they're not technically armors that you can equip / unequip. 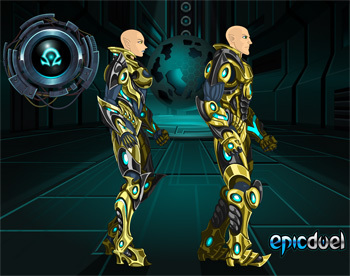 They will not be a mutating armor and it will not take up any space in your inventory. They can be hidden by equipping an actual armor. 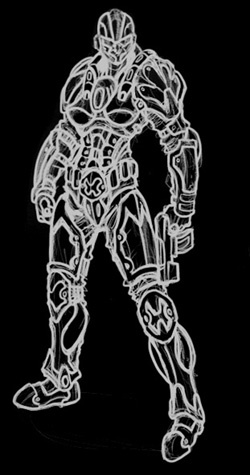 Sorry for the delay in the DNs, but this has been an exceptionally busy week as we go headfirst into Omega development. Before I get to the meat, I would like to start off by thanking all of the EpicDuelists who made my birthday this past weekend extra special. I did not expect the outpouring of complements and birthday wishes. You guys rock! Nightwraith's Wraith Pikes will be returning since I forgot them last week. Sorry for the inconvenience, but at least you have an additional week to get them! 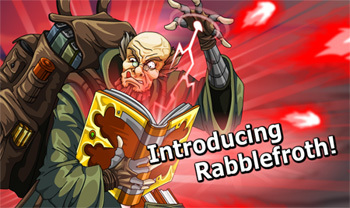 The great and powerful numeromancer Rabblefroth has been sighted in the Wastelands of Delta V! Carrying his massive satchel of arcane tomes, he searches the planet tirelessly for answers to the secrets of the Universe like "Why are we here?" and "Can ghosts be used for fuel?" Not usually prone to fighting, Rabblefroth is nonetheless not to be trifled with. His mastery of the arcane arts is so great he has been known to summon weapons from the ether and turn is ancient tomes into projectile weapons. If you defeat him, you will be rewarded with an achievement and perhaps some long division homework. Be sure to check back with the mercurial mage from week to week as he will periodically ask the citizens of Delta V questions to help improve their livelihoods. Your participation will be greatly appreciated. 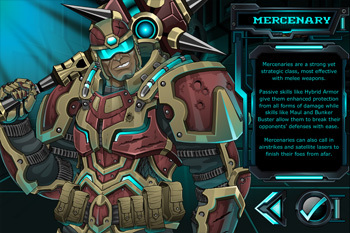 Charfade and I have been working hard on improving one of the fundamental elements of EpicDuel -- the character model. 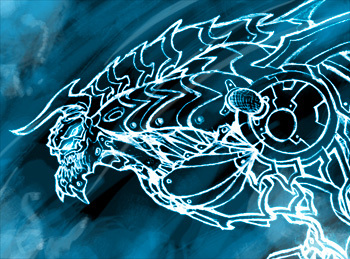 This element is one of the oldest parts of EpicDuel and it doesn't wear it's age well. We've learned a great deal in our time working at Artix Entertainment, but we needed some fresh perspectives to breathe new life into our characters so we assembled Yergen, Samba, and Cysero to assist us. 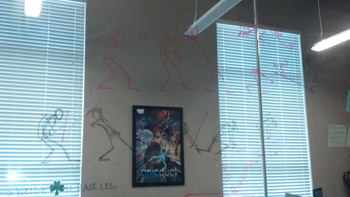 After an overwhelmingly informative session in which we acted out possible EpicDuel animations with Nerf weapons, we gathered the notes and set about tearing down basic character animations and poses to make the model more dynamic. This is a change that everyone will notice. 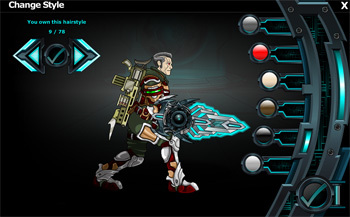 It will make the game look more appealing to new players, while making battle feel fresh and exciting for veterans. 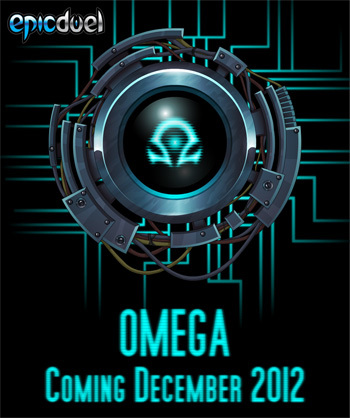 Going forward, you will not see much content being released with each update until we have launched Omega. There are a lot of changes happening on the Dev database that make it very challenging to introduce a ton of new content until after Omega is live. We have a tentative release deadline planned for December, but there is more to do for this phase than any yet to date. This also coincides with our big Winter release, which will bring us back to Frysteland against new and familiar foes. Stay tuned for further Omega updates with a complete breakdown of the features we intend to introduce with this massive update.